NBC Olympics.com will be covering Olympic events live and streaming them to anyone who wants to follow them. I imagine, as NBC is an American network, that the coverage will be highly American team focused, but you never know. When I got to the car rental counter, the polite man behind the counter typed in all the information and then blanched. I knew, I just knew what was coming. I had even sent the car rental agency an e-mail asking them to check to make sure everything was straight. “You’re on our banned driver list.” he finished up. If it hadn’t happened before – TWICE – I would have been a lot more embarrassed. Now, I am just annoyed. When I came in here last time, I didn’t know my license had expired. Fortunately, I have another driver’s license, so they let me use that one – it is the license that is banned, not the driver (yeh, go figure). The very next day, I was the first one in line at the driver’s license place and renewed my license in less than five minutes. It’s easy. I just explain that I live in Kuwait and don’t always have access to registration facilities! They understand. But when I got to California and went to rent again – same problem. Again, they let me drive on my other license. The counter guy gave me a sheet of paper with an intimidating list of the possible reasons I was banned, including expired license, but also things like fleeing the scene of an accident, or felony warrants and things like that. (If you could see me, you would know how dyingly funny this is.) Before I even took the car, I called their security people. It took a total of 30 seconds. I told them I renewed the license, they checked, found out I was not lying and BINGO! I am no longer a BANNED person. I knew what the problem was, but being BANNED made me feel terrible. It was so unfair. It made me think about labels, and how even though they are just words, words can make you feel really really BAD. I truly hated being a BANNED person. In all the world, the restaurant I love above all others is Ivar’s, and the good news for me is that Ivar’s has branches all over Seattle. They have big, full service restaurants, they have counters in the food courts in all the malls, they have branches all over the city, sort of like fast-food Ivar’s, and then they have a couple branches by the ferry-boat lines, so people taking the ferries to the islands can just grab some fish and chips to go. Or clam chowder. Yummm. You all think I come to Seattle and just sit back and eat bonbons, but you are SO wrong. I do all my medical check ups, and get new glasses, and try to take care of all kinds of business. So I am waiting for my glasses to be ready in one hour, and I go to the nearby food court where I know there is an Ivar’s. I was having blood tests this morning, so I have fasted since midnight the night before and I am HUNGRY. 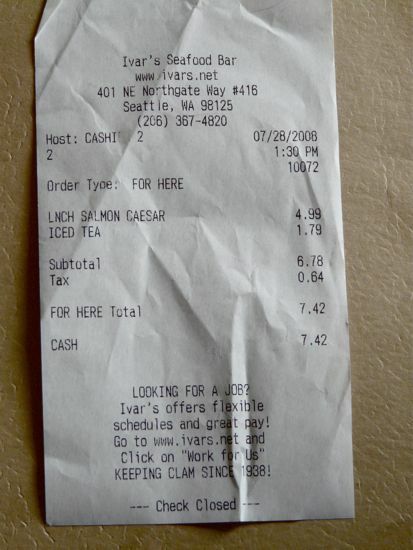 When I get to the Ivar’s, I order the Salmon Ceasar, which the big sign says is $8.69. “Is that the lunch special Salmon Ceasar?” the counter guy asks. The price is WAYYYYY less than a dinner Salmon Ceasar, and the salmon is almost the same size, just a little less lettuce, or so it looks to me. How often to restaurants ask you if you would like LESS instead of more? Often, when we order, the server asks “is that all?” and my usual answer is “isn’t that enough?” Like we are not supposed to be in the restaurant unless we are going to order more? When my lunch comes, there is also a form – you will see it below. It is a very brave form – I always admire restaurants that genuinely ask for feedback. 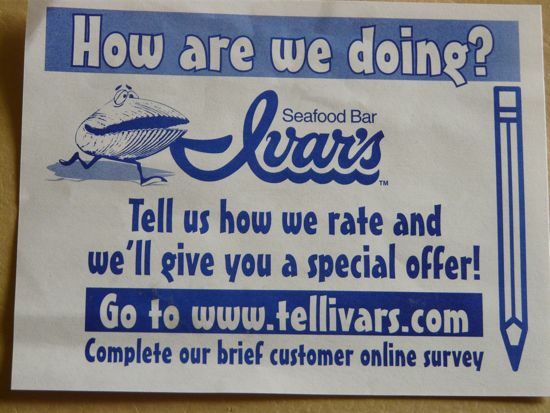 I’m only sharing this with you because I really love Ivar’s food, and I really love their approach to the customer. KUWAIT: The government reached an agreement with Asian workers yesterday to end a three-day strike over pay and conditions, state news agency KUNA said. Three hundred protesters were also deported after being paid their dues, Kuwait Times has learned. Earlier, hundreds of mainly Bangladeshi workers went on strike for a third day, seeking better pay and improved working conditions, with some overturning cars and ransacking offices. This all started back a couple weeks ago – remember the hospital worker’s strike? The gas station attendant’s strike? And then the Kuwait Times wrote an article that the company had agreed to pay wages and the workers were going back to work. The next day, the workers said there had never been any agreement, and no one had been paid! They lied, and hoped the problem would go away. So my question today is – I believe 300 were deported – maybe more. Do you believe they were paid all their wages? Several citizens were angry these people had chosen to demonstrate, riot, strike, etc and suggested they should take their case to the Kuwait courts. Do they have eyes to see? These are the little guys you see at the street corners, they don’t speak English or Arabic, they don’t have enough to eat, they don’t even have privacy or clothing or their wages. Go to court? How do they go to court? I have always loved the verse in the Qur’an that talks about paying the laborer for his work before the sweat has dried on his back. I think there are some very guilty employers out there, and some very slimy recruiters, who bring people in with a whiff of hope for a better tomorrow, and then cheat them. It will be on their heads. AdventureMan was driving, which left me free to take photos on my way to the airport. 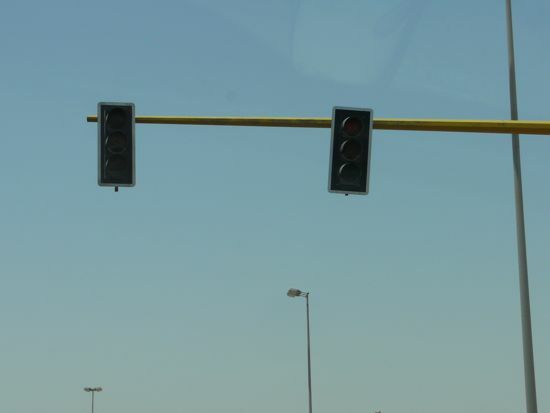 Here is the exact same set of traffic lights I photographed April 14th and I hope you will notice, while there actually is a very very dimly lit red light, we can’t discern it in this photograph, and you can barely discern it with your naked eye. Three months later, nothing has changed. It doesn’t take that much. Send the traffic-light-bulb-changing guy out every single day, and this will not be an issue. How long will it be before we have working red lights? This is not a secure load. This is an accident waiting to happen. The driver is also very aggressive, and hates being passed. His tires are also bald. KUWAIT CITY (AP): Kuwait’s prosecutor general says Internet offenders will no longer be able to escape punishment in this country. Hamed Al-Othman says in an interview with Al-Qabas daily published Sunday he has prepared a bill that criminalizes promoting vice, incitement against the country’s leadership, divulging state secrets, or insulting Islam on the Web. If convicted, offenders would be sentenced to up to one year in jail and/or a fine, but face seven years in prison if their victims are minors. Al-Othman’s office confirmed that he made the comments to Al-Qabas. The draft Internet crime and data information law recently passed by the Public Prosecution Department will be forwarded to the Council of Ministers for their consideration, adds Al-Othman. Al-Othman explained the importance of passing such a law at this time, saying “it’s obvious to all who care about protecting our customs and the future generations that such a law is needed to combat the increasing electronic crimes associated with the ever-improving electronic technology. “The law will include 37 articles and punishment for those who fall foul of the law will be either jail sentence or financial fine,” he added. 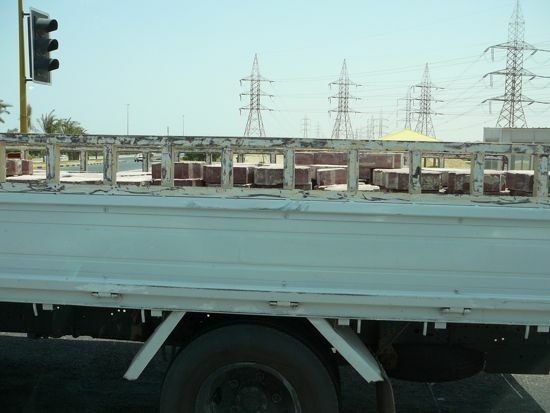 KUWAIT CITY : A riot by about 2,000 workers of Al-Jawhara Company for Stevedor-ing and Cleaning in their camp in Hassawi led to the destruction of six vehicles and injuries to five camp officials, says K. John, the company’s Operations Manager. The manager was speaking to the Arab Times Sunday after the riot was brought under control by policemen. The riot, which began Saturday night, reached its peak by Sunday morning and continued till noon. The workers, John said, were disgruntled over their wages and were demanding a hike, talks over which have been going on for the last couple of weeks. “The recent outbursts in other cleaning companies stoked the angry workers to violence Saturday,” he added. Meanwhile, late Sunday evening, the Ministry of Social Affairs agreed to almost all demands of workers of cleaning companies who had threatened to go on strike, besides setting a minimum wage of KD 40 for cleaning workers – without any deductions an embassy official said on condition of anonymity. The embassy official added that the ministry has also asked the cleaning companies to pay for health and residency fees of their workers and that companies which violate the rights of workers will face “full force of the law.” The official also said that Bangladeshi officials, who maltreat or exploit their workers, will be referred to the concerned authorities. A mob of hundreds of Bangladeshi cleaners had attacked their company’s office in Jleeb Al-Shyoukh Saturday evening, and beat up five supervisors who were reportedly exploiting the workers, some cleaners told the Arab Times. The workers were protesting about their unpaid wages and poor working conditions. All five supervisors are Bangladeshis and are currently being treated at the Farwaniya hospital. A cleaner said the condition of the two injured officials was critical. However, this could not be independently confirmed. The cleaners reportedly damaged furniture, computers, printers and other office equipment in the attack that lasted for a few minutes. According to the workers, no arrests were made and a large police force was deployed at the camp from Saturday evening until late Sunday afternoon. The timely arrival of police and embassy officials prevented the situation from spiraling out of control, added the cleaners. The workers said that they embarked on indefinite strike from Sunday and that they will not return to work unless all their problems are redressed by the company. This is the first violent demonstration to grip Kuwait since the strikes of Bangladeshi cleaners began last Sunday. Some of the problems facing the workers include: underpayment; company is making them pay for the health and residency fees; some cleaners are made to work for more than eight hours without any overtime benefits; company is not allowing workers to take vacation every two years; company is not granting sick leave, among other problems. About 5,000 Bangladeshi cleaners are employed with this local company and are placed at various government establishments. Jleeb Al-Shyoukh is home to thousands of Bangladeshi cleaners, who live in squalid camps and a majority of them are paid as low as KD 18 salary. Another worker told the Arab Times that the problem had been simmering for a long a time and that the five supervisors were warned by them not work against workers’ interests. He added that the trouble began when some of the workers confronted the supervisors as to why they were deducting their pay and that two supervisors reportedly threatened some cleaners, thereby leading to the showdown. He said that the officials of the ministry of social affairs and labour rushed to the camp Saturday evening and urged the workers not to resort to violence and that they would put an end to their grievances as soon as possible. The ministry of social affairs and labour has taken tough measures against cleaning companies that violate rights of workers, even as the ministry recently said that it had cancelled the contract of a company whose workers went on strike last Sunday. On Saturday, senior officials of the ministry managed to convince some 7,000 Bangladeshi cleaners to drop their strike, who had threatened to stop work on Sunday if their demands were not met. According to the workers, the ministry has agreed to all their demands and that they would be paid KD 40 salary, up from KD 8. It was also reported earlier that the ministry will soon send inspectors to labour camps to take a stock of workers’ living conditions and also to address their grievances. When asked why the workers were unhappy over the wages, John said the issue is very complex, and the government is partly to be blamed for the current state of affairs. “The workers demand health insurance, which is KD 50 per person, while it is only KD 10 for domestic maids. This makes it very difficult for companies to provide health insurance of its workers. “The municipality pays just about KD 23 per cleaning worker, and the government can’t expect us to pay more than that. Our workers receive anywhere between KD 20 and KD 70 depending upon their rank and job. “Tendering rules also need to be reformed by the government. There are many small players who make abysmally low quotes to win tenders and bring down the quality of this sector. This despite the fact that we need to show bank guarantees of very huge sums to win tenders,” John explained. Stressing the cleaning companies are an asset to the nation and should be treated with due importance, John said “the government has to provide us lands at subsidized rates to help sustain the industry. “The workers ransacked the rooms in the camp and destroyed some computers. We also suspect that workers from neighboring camps joined in the riot, adding to the ferocity of the violence. The project manager had to be rescued from the camp by the police from the marauding rioters,” he revealed. “The demands of the workers are not wholly over the board given the inflation rates in the state. If the issue is not resolved many government institutions and private companies will be hit,” John added. “The workers at Al Jawhara Company do not have any unpaid dues and all their salaries are paid in time,” he concluded. KUWAIT: Acting Assistant Undersecretary of the Ministry of Social Affairs and Labour for labour sector Hamad Al-Me’dhadi revealed Sunday that the main reason behind the majority of recent strikes was the demand for salary increase. He said that the Ministry of Social Affairs and Labour will report to the Cabinet on these strikes coinciding with another report to be submitted by the Ministry of Interior in this regard. He added that ministry officials met with a representative of the Bangladeshi embassy and informed him that the strike of laborers must be expressed in an orderly manner and according to official channels. He pointed out that it had been agreed with the Bangladeshi embassy that there should be representatives for all those laborers so that the ministry’s legal researchers and inspectors can listen to the workers demands. Meanwhile, the issue of continuous strikes by expatriate workers and their rights are on top of the agenda for the Council of Ministers’ meeting on Monday. The meeting will be presided by the Acting Prime Minister and the Defense Minister Sheikh Jaber Al-Mubarak Al-Sabah. “The Cabinet is ready to sanction erring companies and they may request the National Assembly to pass the new labor law at the beginning of the next parliamentary term,” Source added. AdventureMan and I have discovered we have lived overseas for so long that we suffer from a little culture shock every time we come back to the United States. We come back two or three times a year, so you would think we’d be keeping up on everything, but things change and we fall behind, especially when we are not living here. I was really embarrassed. “How do they pay?” I asked, and she said “Everyone pays by credit card.” “No problem,” I responded, “I can pay by credit card,” which I did and everything was cool. Then I started watching, and everyone was paying by credit card, maybe a few with debit cards, but usually the debit card machines were malfunctioning, I don’t know why. We know a lot of the young people don’t have land lines into their homes anymore, and that makes sense to us. We aren’t sure how people connect for television – it seems there are a lot of different ways, so how do you figure out which is the best? And some have phone, cable and internet all bundled together, and you pay one bill . . . again, how do you know which is the most cost effective? If people don’t write checks anymore, how do they pay their bills? I have been doing some bill paying online, which sure is convenient when you live in Kuwait and have bills to pay in the USA, but is that how normal people pay their bills, like utility bills? Magazine subscriptions? And if you do that, how do you keep track of things for taxes, when you don’t have checks to back you up? It’s almost overwhelming, trying to figure all these things out. In some areas, I feel like I am anti-too-much. Like I don’t want a GPS in my rental car – I know the area, and I know how to use a map to figure out where I need to be. I know how to use GoogleMaps! Sometimes the GPS things are just distracting to me. I have a bad feeling that makes me old fashioned. 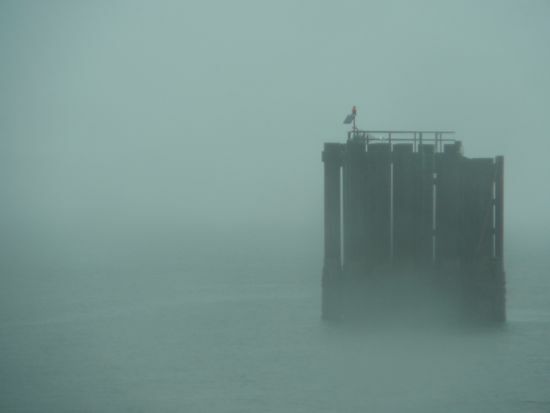 This morning, my first back in Seattle, it was raining softly. 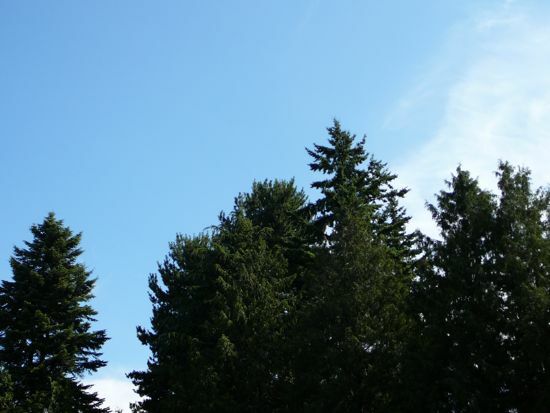 I was glad; a little rain helps keep Seattle green. 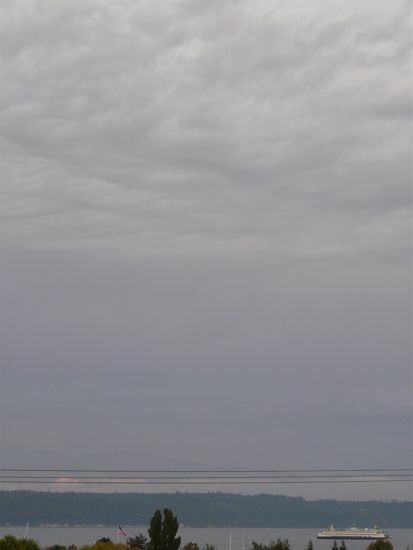 On the other hand, I had thought I would go for a walk, and the steady light rain was a little too much rain for walking – for me, anyway. There were a lot of Seattle people out walking – they wear rainhats, lightweight rainproof jackets – and shorts! You can hear his loud voice all through the lounge. Within minutes, two security men are in the lounge, checking his ID and handing over his blackberry. I look around. Half the people in the lounge are quickly inputting their names, with two spaces, into their phones, computers and personal data devices. I am thinking particularly of when we first got him. He was scared of me, he didn’t much like women at all. He adored AdventureMan (still does) and slowly, slowly warmed up to me. 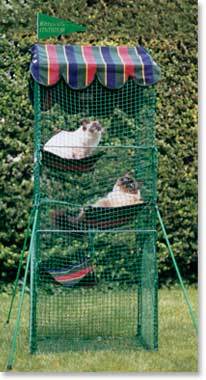 He had a house outside, called a “cat containment center.” Go ahead. Laugh. All our friends did, too, but it gave us peace of mind. Qatteri Cat could be outside in the garden, and we knew he was safe. People put out poisoned fish in our neighborhood, to kill stray cats, and we didn’t want that heartbreak. So Qatteri Cat is out in his cathouse, and I hear an snarling, howling YOWWWWWLLLLL. His friend, Satchmo, from up the street has wandered over to say hello and Qatteri Cat is totally out of control. He is mad, he is running and throwing himself against the walls of the kitty penthouse, and Satchmo – all he wants is to be friends! I get the trusty squirt bottle and shoo Satchmo away. I talk calmly to Qatteri Cat, calmly, calmly, and I open the door. He tries to rush out and I get him by the scruff of the neck, you know, how they tell you so the cat will go immobile? He can’t scratch and bite if you have him by the scruff, right? Wrong. Wrong. So very very very wrong. I still have scars. I got him inside, and gave him a 30 minute time out in the bathroom to calm himself down. When I did that, he totally forgot what had happened and would be fine. Actually, most of the time 5 minutes was enough, but I figured with all that adrenelin going through his system, 30 might be safer. My sweet friend really knows animals. So yesterday, I talked AdventureMan through what we needed to do. I will get everything prepared, and then one of us has to hold the Qatteri Cat and one of us has to soap him, massage him and rinse all the soap out. AdventureMan chose to hold the cat. I was greatly relieved. We got him into the bidet (first mistake, QC is a BIG cat) with a towel in the bottom, and when I started pouring the water, QC started howling. We are not talking your everyday miow here, we are talking, as AdventureMan put it, the sound of a cat having surgery without anaesthesia. I was so afraid our neighbors were going to report us for pet torture – because that is what he was howling. Not only that, but it’s one thing to try to hold a terrified cat by the scruff of the neck (bad enough!) and another thing totally to try to control a terrified, wet, soapy cat. I was scrubbing, pouring, QC was howling, AdventureMan is saying “Hurry up! hurry up! I can’t hold him much longer” and there is water water everywhere. We have the bathroom door closed, so when QC gets out of AdventureMan’s grasp, we quickly capture him again. We are all soaking wet, QC is still soapy, and AM and I are panting and laughing and we need to get this job DONE. We transfer him to the bathtub and finish the rinsing, and wrap him in a towel. At no time does he stop his shrieking, not until we let go. He is still very very wet, but he won’t let us – or a towel – anywhere near him. Finally, I put a towel in a sunny spot and leave, and when I have been gone a significant amount of time, QC seeks the nice warm towel in a nice warm spot. I check on him every ten minutes or so. He doesn’t want to see me. Finally, maybe an hour later, he comes in and stretches out on my legs. All is forgiven, if not forgotten. But here is the really cool thing. As terrified as he was, he didn’t scratch and he didn’t bite. Maybe he might have, if AdventureMan had not held him firmly, but we have held him firmly before and gotten terribly scratched and bitten. I think, as bad as it was. Qatteri Cat trusts us enough to suspect we were not trying to kill him. And his coat is a lot nicer, now, except the holes show where I have been cutting out the lumps.